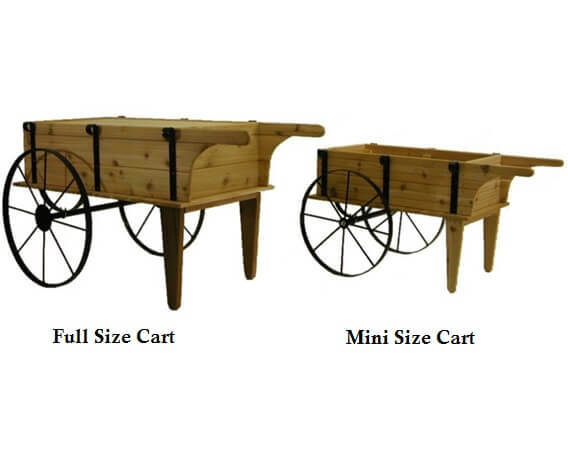 Add this Mini Flower Cart in a toasted finish to your retail store, as a kiosk in the mall, or in your lawn as landscape decor. 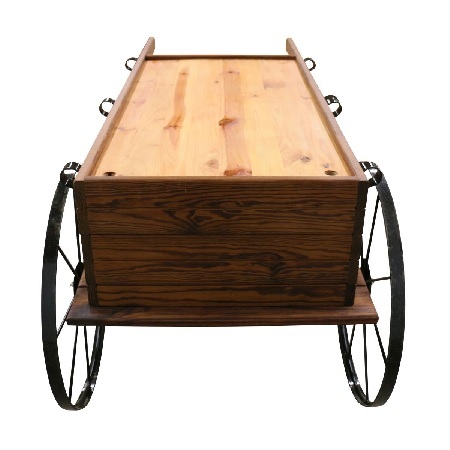 This small wooden cart is designed to display various materials such as flowers with blooming buds, baked goods and more. 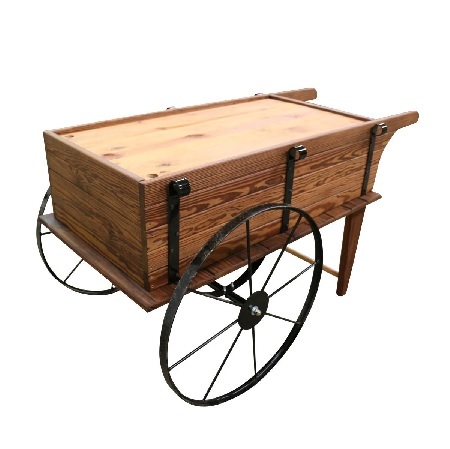 This portable wooden cart is made from thermally modified wood that is stronger and more durable than regular plain wood. 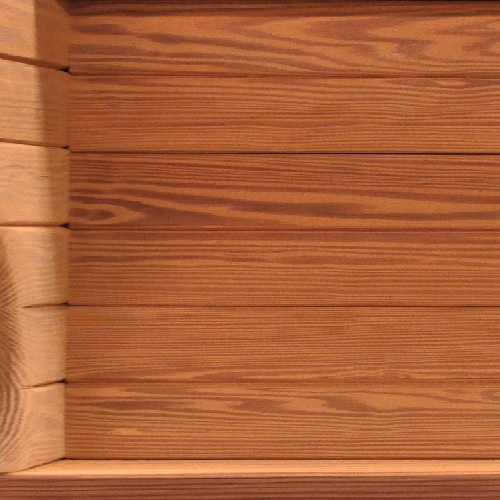 A platform shelf is included to possibly add more merchandise in an organized fashion. 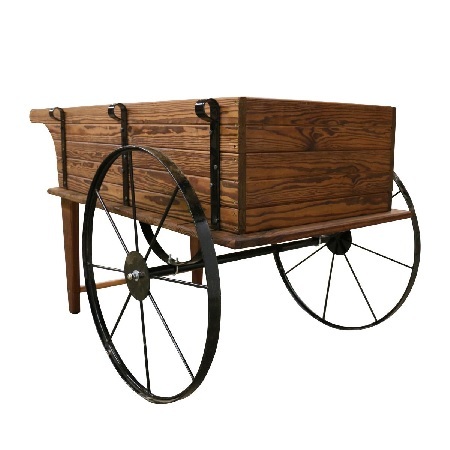 All metal parts are powder coated black for extra durability and equipped with 24" wheels. 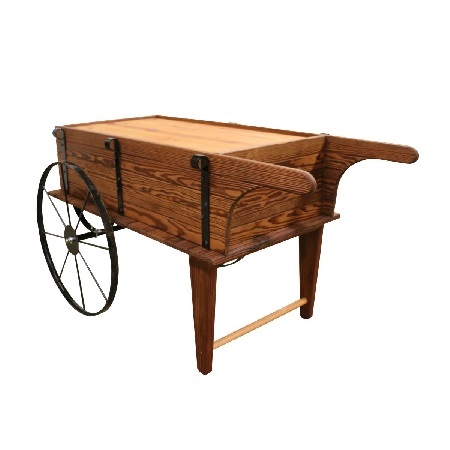 Make your country style wooden display the center of attention in your retail establishment. 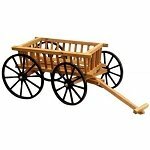 Add to your online shopping cart now! 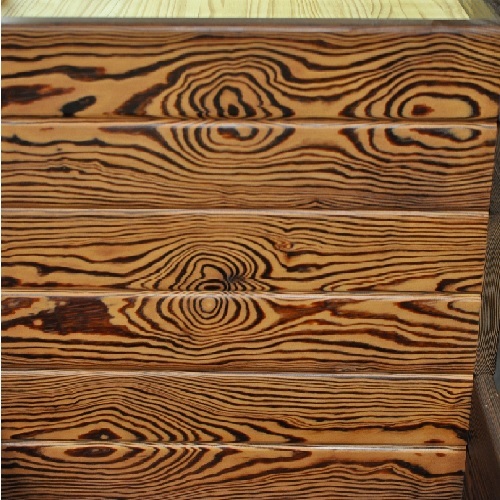 Overall: Length 51½" - Width 28" - Height 28"
Inside Box: Length 36" - Width 19½" - Height 11"